Pounds are dropping and inches are melting away quick. 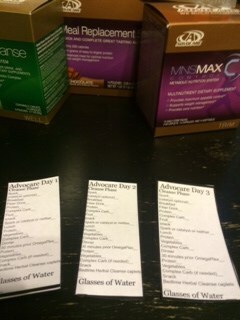 During the first 10 days of Advocare 24-day Challenge I went through some rough times with the changes in my diet. Eating every 3 hours on my schedule was a challenge. I can’t always put my work on hold to eat and I usually forget to eat all day. This diet made me pay closer attention to meal timing. After a few days of forcing myself to eat my stomach did a great job of reminding me to eat. I wasn’t really hungry, I just felt like I needed to eat. Day 5 was the first day I was actually hungry. After talking to a coach and looking up day 5 on the web, I found out that eating a little more protein would help relieve my hunger. Days 6-10 were easy. My reward was so worth everything. 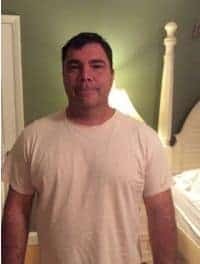 I was 12 lbs lighter and I had lost 16.5 inches overall. Days 11-15 have been a little tougher. The burn days are not easy for me because I love eating fruit. Sticking to just vegetables and proteins all day limited the type of foods I would eat to satisfy the diet demands. I finally discovered egg and veggie muffins and all my woes disappeared. My wife, Lisa, has been searching the internet for lots of different recipes for us to try and this has definitely been helpful. We have tried different meals almost everyday. This keeps things exciting for dinner. The only bad thing is the cooking takes more time when you are trying to cook healthy and follow a recipe for the first time. 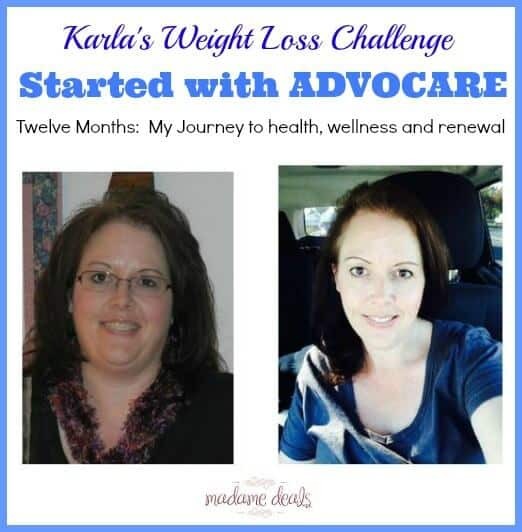 The Advocare products have been awesome. I really like the chocolate shakes for breakfast. I also tried Chocolate Peanut Butter and it was excellent too. The shake fills me up and satisfy my sweet tooth. Another great product is the Spark drink. In the morning I drink the Orange Spark for my energy kick. Spark works way better than coffee. I am also taking all the supplements Advocare suggests. I really don’t know how much all the supplements do for me but I think they are working because I am definitely losing the weight and inches. It is day 15 for me and I am now 20 lbs lighter and feeling fantastic!